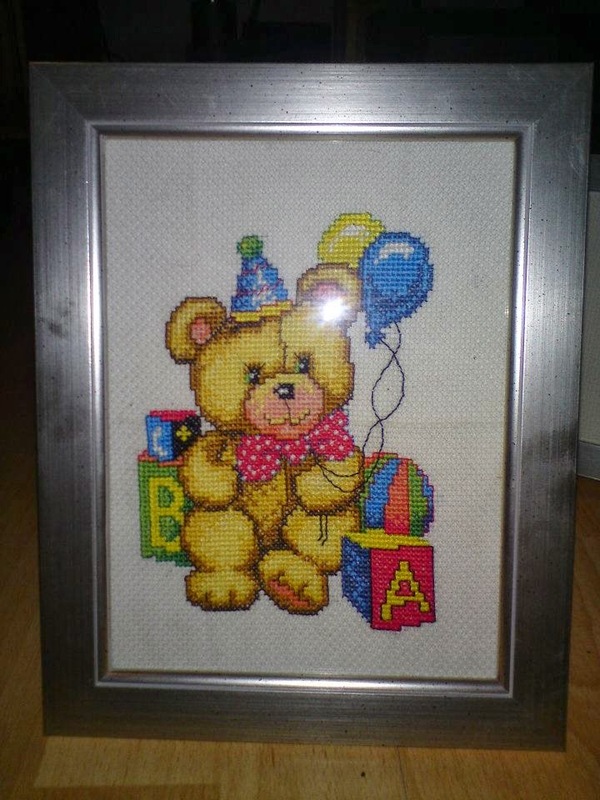 Hobbies of Norway: Birthday bear! I'm on a new cute little embroidery. This time it's a little bear with som balloons, and toys surrounded him. I've been waiting to make this one for a while, but since I'm waiting on two projects I just started this one instead.